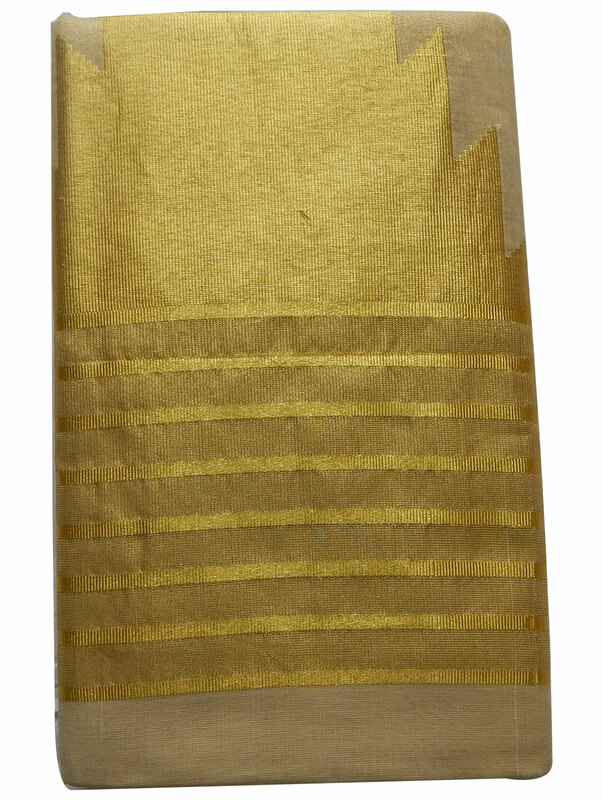 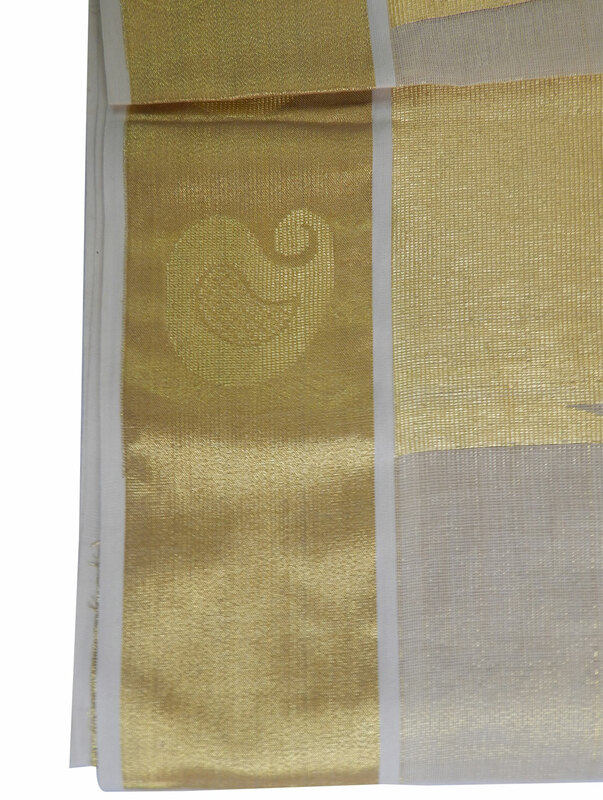 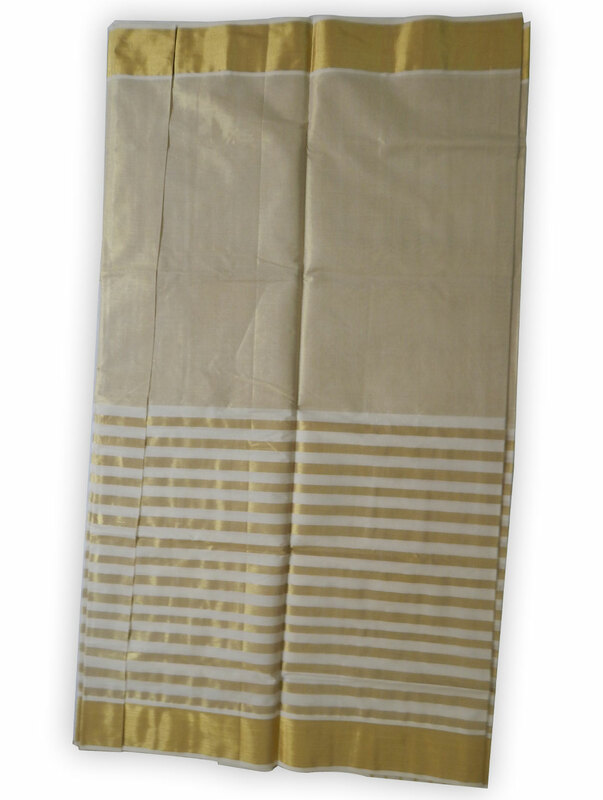 Radiant body of kerala handloom kasavu saree has broad zari golden borders, zari golden lines across the top half and abstract Temple design on the bottom half. 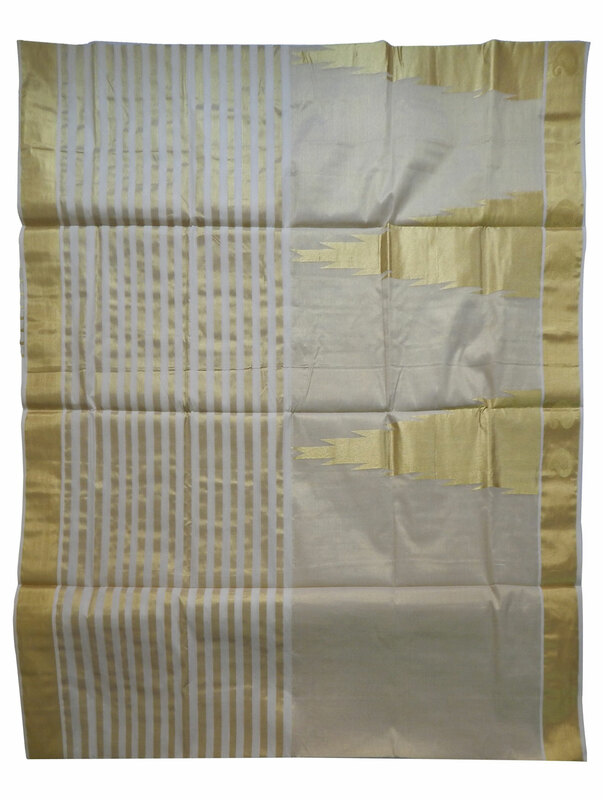 Beautiful pallu has zari golden lines across the top half, zari golden borders with mango motifs, vertical zari golden lines and abstract Temple design. 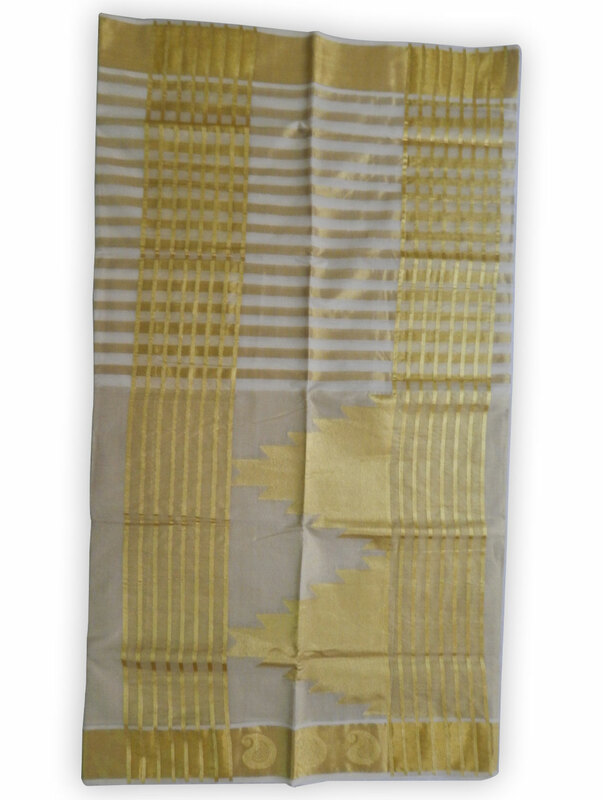 Handloom Tissue saree is easy to wear and feels cool and comfortable on the skin.